A single goal was all that was needed for the Nats to notch their second win of the tournament. Goaltender Zachary Roy stopped 21 shots, while Nats forward Ethan Keppen netted his first goal of the round-robin. The Nats will face the Quinte Red Devils on Friday. 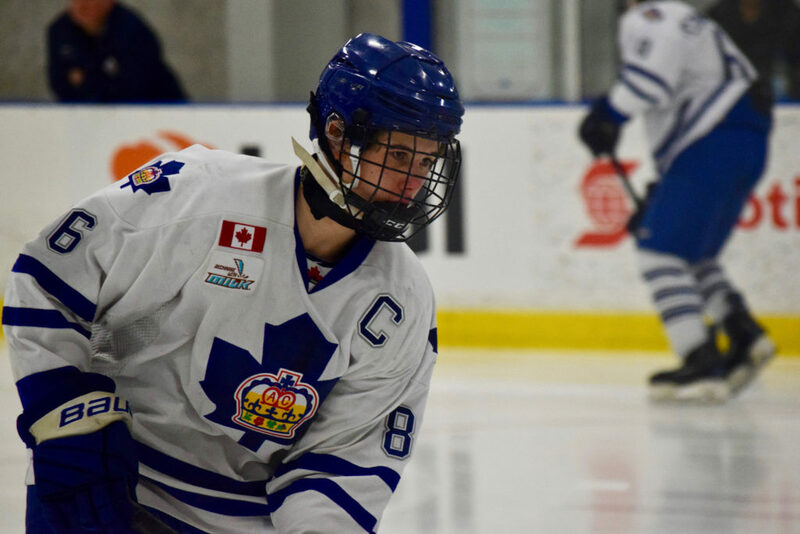 After a disappointing loss to the Mississauga Reps on Tuesday, the Toronto Marlboros bounced back with a 6-3 win over the Eastern Ontario Wild. Graeme Clarke and Captain Jack Hughes each had two goals on the game. The Marlboros will face Thunder Bay on Friday at 9:45 a.m. The Mississauga Reps killed off two late game penalties, but couldn’t capitalize on an overtime powerplay in Thursday’s tie with the Ajax-Pickering Raiders. The Reps remain at the top of the Shanahan division, going undefeated after three games. The Reps will play the Eastern Ontario Wild on Friday at 1:45 p.m.
Jaden Condotta was the overtime hero as the Toronto Titans found their first win of the tournament in a 2-1 victory over the Waterloo Wolves. The Titans will face the undefeated Whitby Wildcats Friday morning at 8 a.m., followed by a game against NOHA at 3p.m. The Mississauga Senators failed to record their first round-robin win after being shutout by leaguemates, the Toronto Jr. Canadiens. The Jr. Canadiens are currently sitting in second in the Subban division behind the undefeated London Jr. Knights. They are scheduled to play the Brampton 45s on Friday at 12:00 p.m.